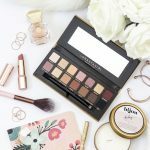 Is it just me, or does it feel like there are constantly new makeup brands popping up at Sephora and Ulta? 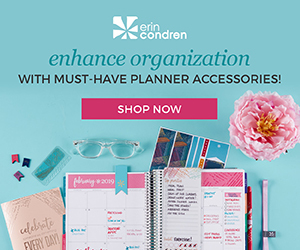 I love to peruse both sites on the regular to see what has recently been added, and I feel like my to-try list just keeps growing longer and longer. 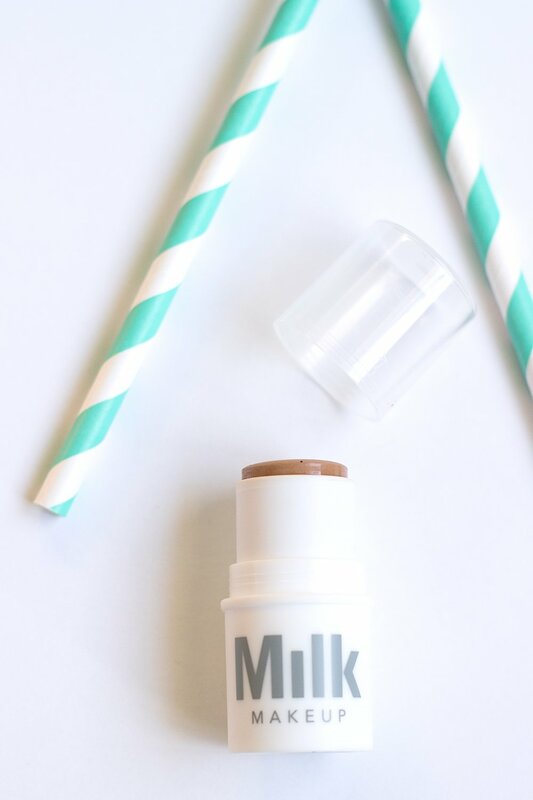 In particular, I’ve heard a lot of hype around Milk Makeup, a youthful new line that’s available at Sephora and in the Birchbox shop. One of my favorite ways to explore a new brand is to pick up one of their travel sets. 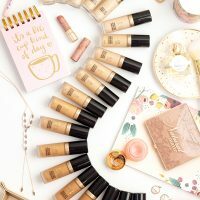 For the cost of usually only one or two full-sized items you get to try a variety of products and develop a better sense for what the brand is about. So of course, when I was considering what I wanted to spend my hoarded Birchbox Points on, the Milk Makeup Have a Good Trip Set was at the top of the list. 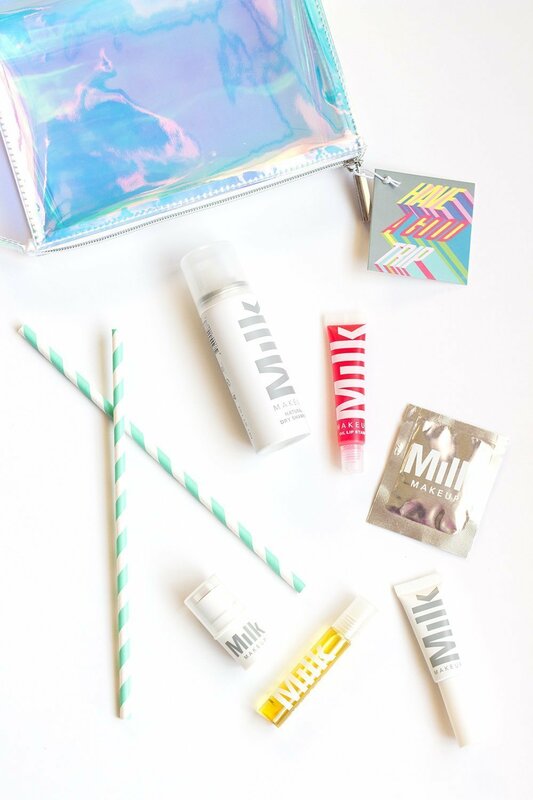 Milk Makeup is an eco-conscious and edgy NY-based brand. Their products all channel a youthful, simplistic vibe, letting you create trendy looks with just a few swipes. 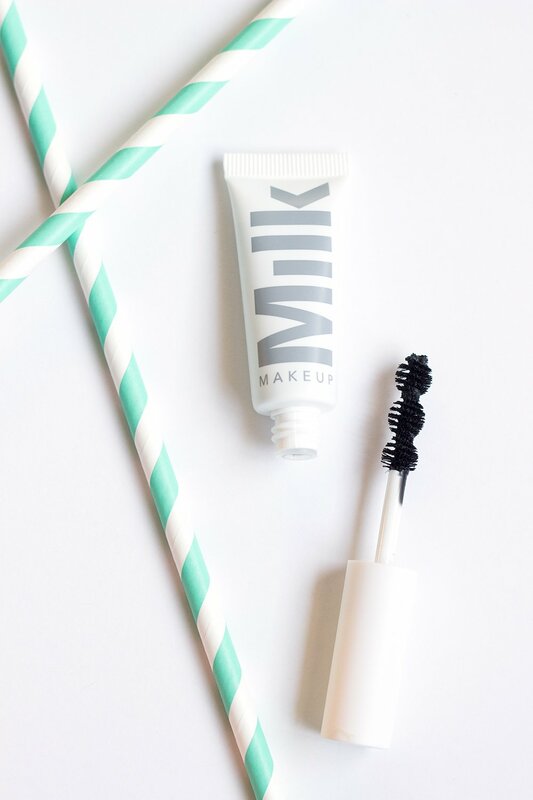 Milk uses high quality, natural ingredients in their products whenever possible, focusing on creating cosmetics that are as healthy as they are fun to use. 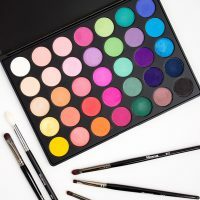 With a philosophy of being “high concept, low maintenance” Milk Makeup’s range is full of innovative products, bold colors, and interesting textures. 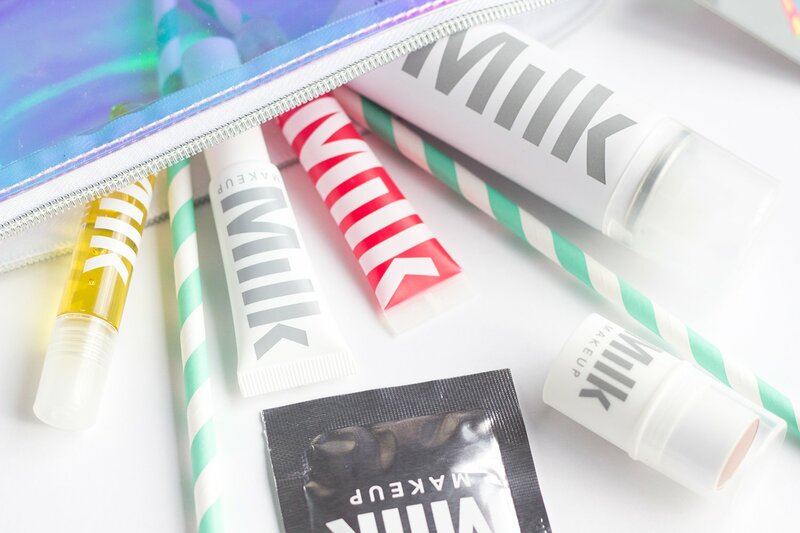 If you’ve ever wanted to channel your inner runway model a la NYFW, Milk may be your jam. 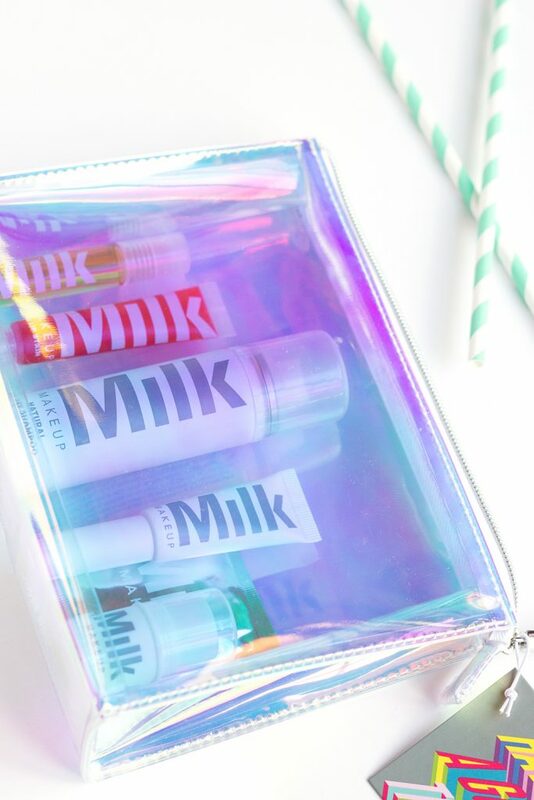 The products come tucked inside a super cute holographic cosmetics bag. The color shift is so fun! It reminds me a lot of a bubble. I also appreciate that it’s made out of a plastic material, as it’ll be that much easier to clean. At first glance I’m also really digging the packaging on Milk’s products. It’s very minimalistic, with their name being the primary visual focus. It feels really modern and trendy to me, while still maintaining that high-end feel. By now I’ve had quite a bit of time to try everything in this set, so let’s break things down one at a time. Dry shampoo is a handbag staple of mine, so I’m positive this 1.0 oz travel-sized can will quickly fall into the rotation. 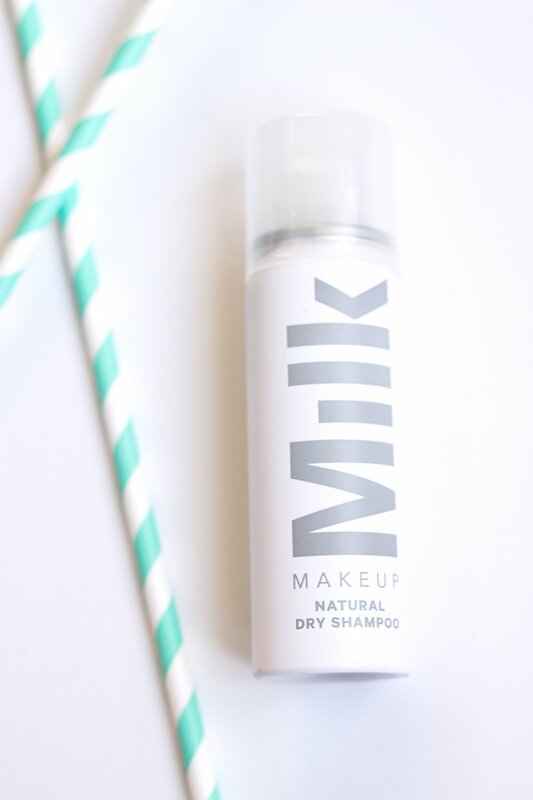 Formula-wise the Natural Dry Shampoo ($14) reminds me a lot of Amika’s Perk Up Dry Shampoo (but with a fresher and less sweet kind of scent). I took a peek at the ingredients list of both products and it looks like they both use rice starch to keep the greasies at bay. Rice starch based dry shampoos generally are less likely to leave a whiteish cast in your hair (something us brunettes can appreciate) and are less gritty in texture than those with aluminum. On the flip side, I think they’re also a bit less effective at oil control. Basically, if you need a little mid-day refresh, this dry shampoo will do a great job. But if you’ve got particularly greasy roots it will probably fall short. This Matte Bronzer ($24, 1 oz) stick is everything. I’ve never been a big cream bronzer fan, but this product could singlehandedly convert me. The texture is ridiculously silky and buttery smooth, so it blends into the skin with almost zero effort. Perhaps one of the reasons I’ve shied away from this type of formula was that I thought it would look more harsh than a powder, but this bronzer is about as natural as it gets. As the name suggests, it has a matte finish, but is by no means flat or chalky looking. The creamy texture leaves a sort of dewy flush to the skin, letting you glow sans sparkle. As far as I can tell there is only one shade of this product available (kind of a bummer) and would be best suited for those with light to medium complexions. This set contains a mini sized version of the original stick (just a little less than 1/4 of the size) and is valued around $5.50. Of everything in this set, the Ubame Mascara ($24, 0.37 oz) is the only product that I haven’t tried. I tend to be really strict about not wasting mascaras and only allow myself to open up a couple at time. However, the brush on this particular product is really unique, and I’m incredibly curious to see how it works. According to Milk the triple-ball design is supposed to help volumize the lashes at three separate points to help encourage them to also hold a curl. I often struggle with my lashes falling flat, so I’m hoping that this mascara will be a winner. I also appreciate that the product itself is inside of a flexible squeeze tube instead of a hard one. I can imagine it’s less likely to dry out and easier to get every last bit of product. 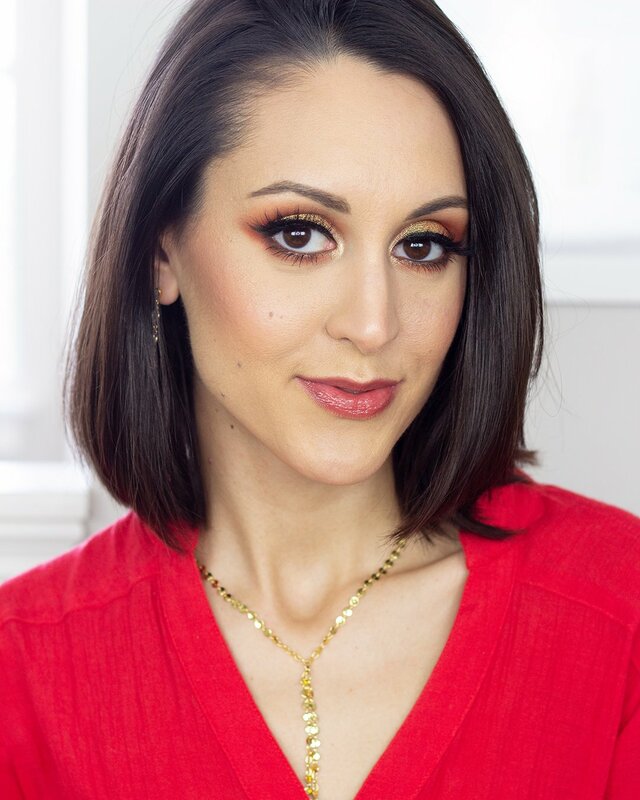 According to the details on Sephora’s website, this mascara has a 74% natural formula and uses ubame oak charcoal and sapphire dust to add depth and dimension. I’ve had some trouble with natural mascaras smudging like crazy on me, so that is my biggest concern for this particular formula. Fortunately, the mascara in this set is not full sized (instead its about a $16 value) so if it ends up not working out for me it’s not that big of a deal. Lip oils seem to be a big thing lately, and for good reason. Summer is the perfect time of year to sport sheer washes of color on your lips, but traditional stains can be really drying. Truthfully I’m a bit on the fence as to whether or not I’m a fan of Milk’s Oil Lip Stain ($18). You get a full-sized version of the shade Tude in this set, which claims to be a red but really comes across as more of a deep, vibrant pink. You get a TON of product in one tube, and the rollerball allows for quick and even application, but the formula itself is somewhat disappointing. I think the color is beautiful, and I like that you can build up the pigmentation, but I was hoping that (being an oil) this product would be way more moisturizing than it was. In my experience it goes on feeling a little bit greasy, and once the oil absorbs into your lips, the stain seems to really dry them out. 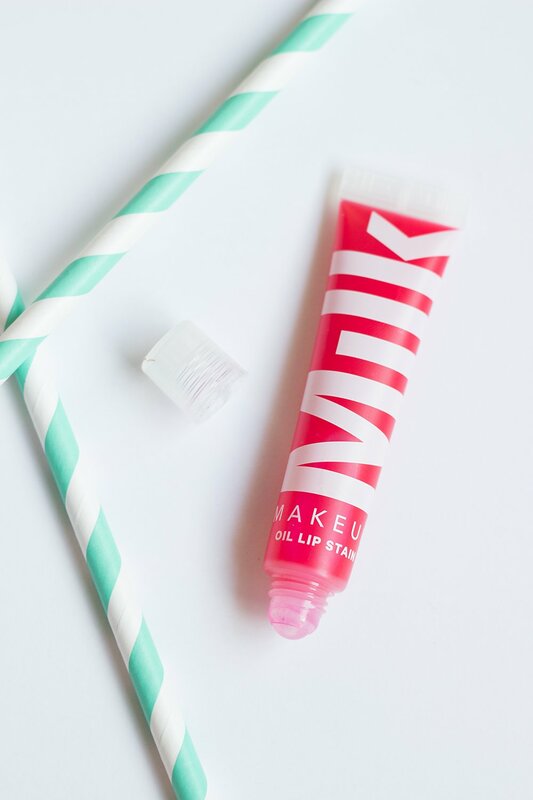 I may have to play around with this a bit more before I totally write it off, but my gut tells me if you’re looking to try one Milk lip product, I would pass on this one. 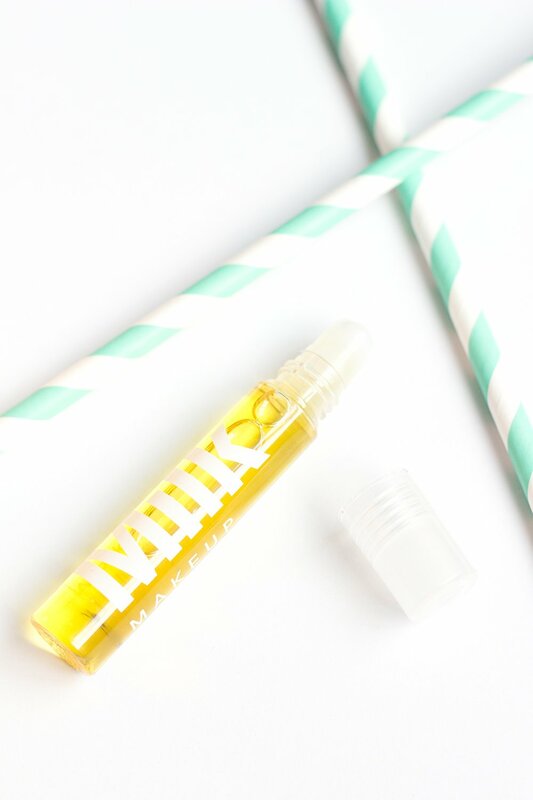 On the flip side, I’ve really been loving Milk’s Sunshine Oil ($38, 0.5 oz). You also get a travel-sized version in this set (about a $20 value) which is perfect to throw in your purse for use on the go. The Sunshine Oil is a multi-use product that contains a blend of lovely nourishing citrus oils (grapefruit peel, lemon, and mandarin to name just a few) and can be applied anywhere you need a bit of hydration. It has a delicious scent that screams summertime and makes my inner lemon lover basically squeal with delight. It also sports a rollerball applicator, which is a little more limiting for something that can be used all over your body. It comes in really handy for applying the oil to your lips or cuticles, but less so for for any larger areas. 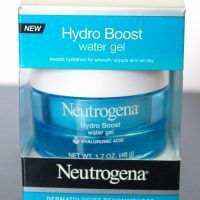 While the application may be a little cumbersome, once you get this product on it sinks quickly into your skin and leaves it feeling soft and hydrated. Makeup removing wipes are an essential part of my bedtime skincare routine. I’ve tried quite a few different varieties and have pretty high expectations whenever I test out something new. You get one Micellar Water Makeup Removing Wipe ($14 for 20 Wipes) in this set ($1.43 value), which is a nice little bonus, but also kind of feels like an afterthought. On the positive side, I love that these wipes are individually wrapped. While I suppose that makes them a little less eco-friendly, it’s nice to not have to carry around a huge 30-wipe package with you to the gym or in your overnight bag. The wipes themselves smell wonderfully fresh (you definitely get notes of cucumber) and are gentle and non-irritating. The downside? These wipes are incredibly tiny. Even if they were doubled in size they would still be smaller than a lot of makeup remover wipes I’ve tried. Beyond that, the micellar formula these wipes are soaked in stands no match for heavy-duty makeup. 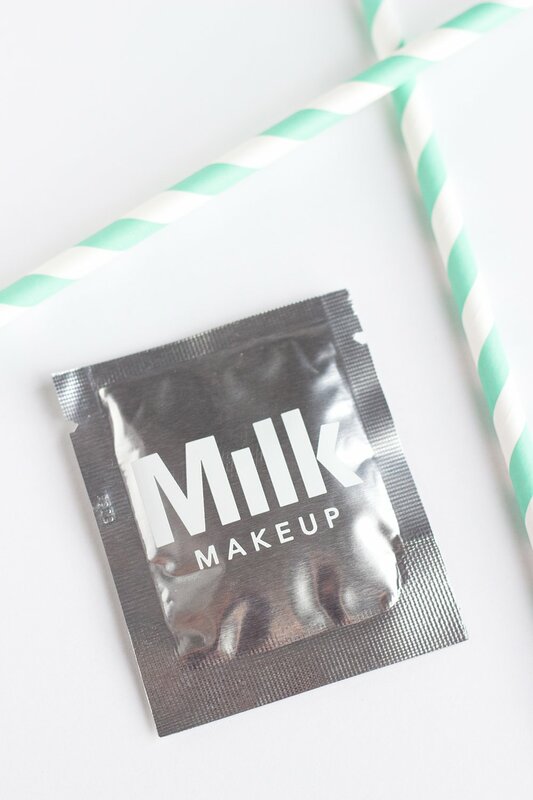 To Milk’s credit, they recommend up front that you use an oil-based makeup remover for long wearing products instead of these wipes, but it’s still a bummer that these will really only be effective on your lightest of makeup days. All in all I think this was a fun set to try, but I get the sense that these 6 products are not the standouts from Milk Makeup’s range. 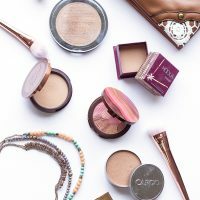 The bronzer was by far my favorite, which I think I’m going to be obsessed with all summer long. I also think the dry shampoo was nice, and the sunshine oil will come in handy, but neither of them completely blew me out of the water. Per my calculations, you get about $75 worth of product in this set, which is $10 less than what’s stated on the Sephora website but still a solid deal. Truthfully, I think if there are one or two products from Milk that are calling to you, I would invest my money in them over purchasing this set. 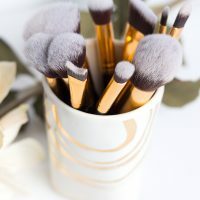 $50 is a lot of money, and it’s only really worth it if you know you’re going to use and love the majority of the products you’re getting. 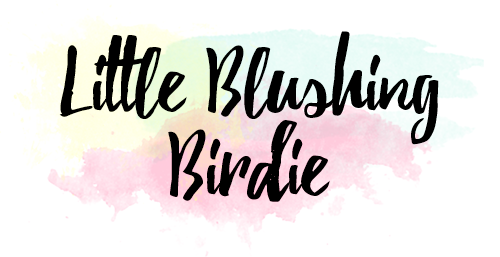 On a positive note, I’ve heard fantastic things about the Eye Pigments and the Blush Oil looks like it’d be right up my alley, so perhaps those will have to be some of my next endeavors! 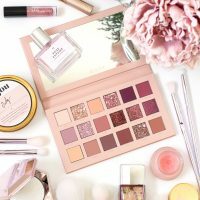 If you’ve tried anything from Milk Makeup I would love to hear your thoughts. What products from the range were you most impressed by? Which ones are total duds? Share your thoughts in the comments below so we can all know what to check out next.